How long does it take to straighten hair if it’s long? Questions › Category: Styling tips › How long does it take to straighten hair if it’s long? I have pretty long curly hair that comes down to my waist. I’ve never tried to straighten it with a flat iron, so I’m wondering how long the whole process is. 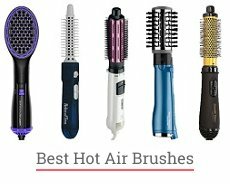 And are there any alternatives to a straightening iron? Yes, there are several alternatives that I will cover later. As your curls are quite long, straightening may take a while but I guess you’re ready for this. The exact styling time depends on the kind of a straightener and a given model. 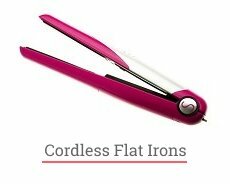 First of all, there is a flat iron which is the most common tool for straightening, as far as I know. Making your hair straight with this straightener will probably take up to an hour. That’s because you need to divide your curls into small sections and pass slowly through each of them once or more. For your locks are curly rather than wavy, I believe that you will probably need 2-3 passes for each hair section. You could also use a round brush or a wooden paddle hairbrush (read more about wooden hair brush benefits) combined with a blow dryer to straighten curly hair. I guess it will take up to an hour as well. Moreover, this is more time- and effort-consuming process as you need to operate two styling tools at the same time. Fortunately, there is a huge time-saver called an electric straightening brush which takes significantly less time to straighten your curls. The precise time obviously depends on a certain model, but the fastest brushes could get the job done in 7-10 minutes! For your hair length, I believe you should add extra 5-10 minutes, but it’s still way faster than a flat iron. Remember that you’re supposed to straight only fully dry hair, so you have to dry it first. And always put a thermal protectant (a spray, oil, etc.) on hair to reduce the potential harm.